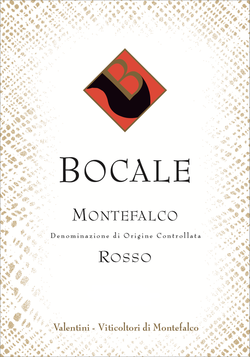 ﻿Variety: ﻿Sangiovese, Merlot and Sagrantino. Altitude: 1,552 feet above sea level. Harvesting: Grapes are handpicked the last ten days of September, early October. Vinification and Maturing: exclusively with natural yeasts. Wine does not undergo any kind of stabilization and filtration. Presence of sediments should be considered a guarantee of authenticity. The aging happens in barriques for about 7-8 months. Refinement: in bottles for 6 months. Organoleptic characteristics: intense ruby red with purplish tints and typical red fruit scents in particular cherry and violet with spicy hints and a slight scent of vanilla. A well structured wine, harmonious, with sweet tannins and persistent flavour. Serve with: ideal with rich first courses, red and white meat, cold meats and flavored cheeses.